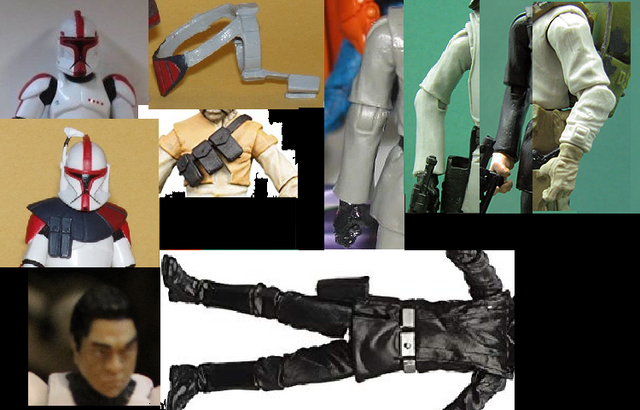 Cool droid but I especially like the mud trooper officer. I might have to try something similar. Thanks for the inspiration. darthvlad wrote: Nice job on Maron Namony. Love the look... would love to learn how to make custom clothing someday. 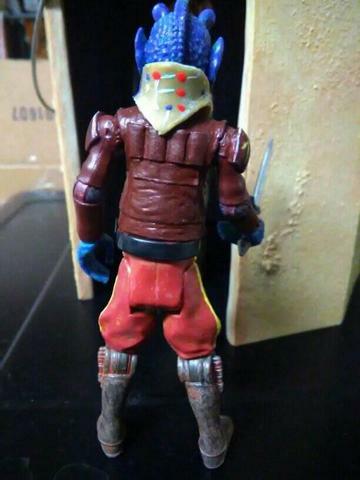 The way the helmet is sitting on him reminded me of the helmets of the Visitor Shocktroopers from V back in the day and how I wish they would have had a line of figures from that show especially the shuttlecraft/fighter. I love the story of GNK-O. She looks like she'd fit in on Kessel. I love the design, too. 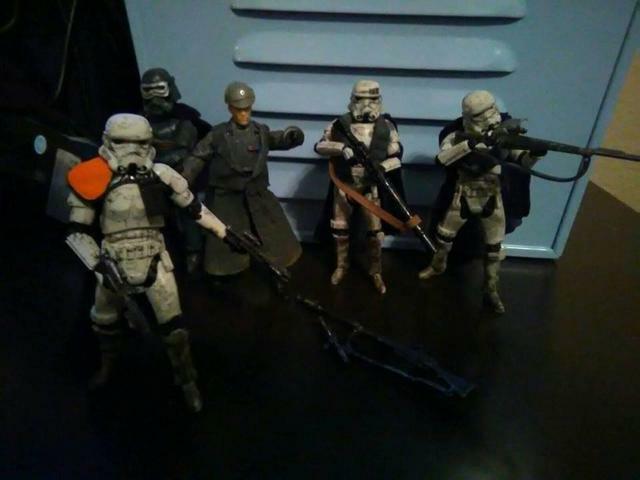 Evilivo wrote: Well, that's strange, I saw that Mudtrooper officer and thought I commented on him. Did you show him in any Facebook group? 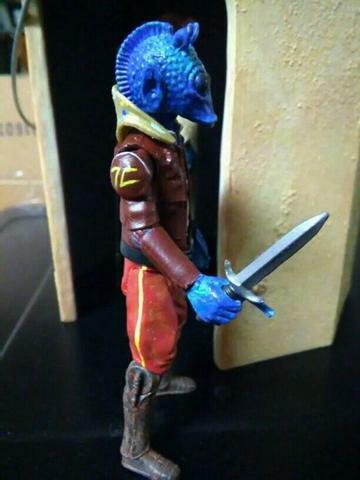 He is a pretty cool character and your custom is superb! 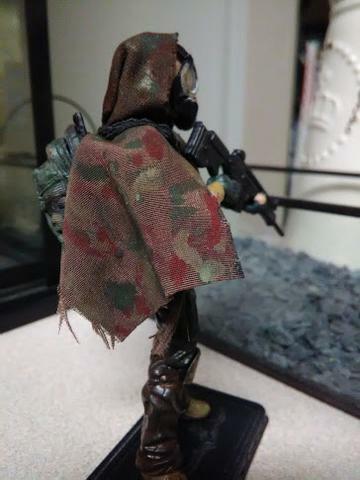 The muddy paintjob on the coat is quite good. The droid is fun, reminds me a bit of a post office box Clever use of parts here. 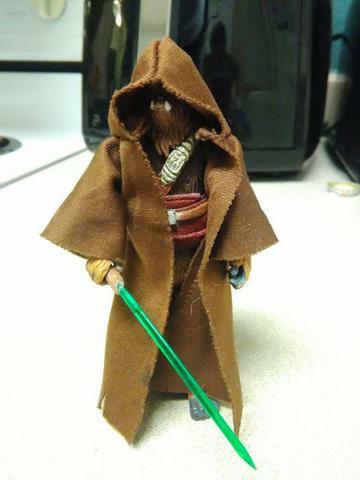 Yup, I posted him in a Star Wars custom group and in the "3 & 3/4 inch action figure community" group. lol I can see that! 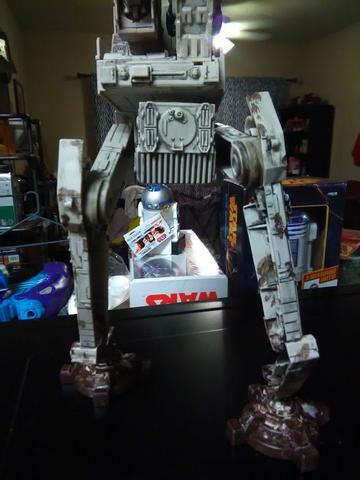 Utinniii wrote: Great Gonk (and other creations). I had a bunch I wanted to do but didn't have time for. 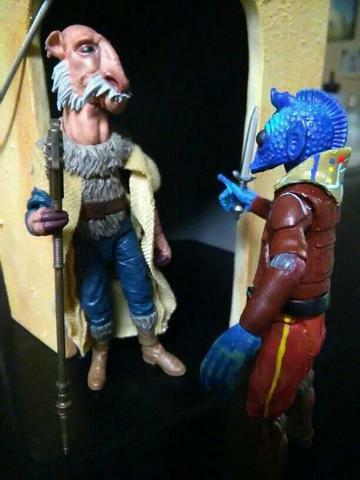 It looks like it would fit in the SW universe. I like your color choice as well. 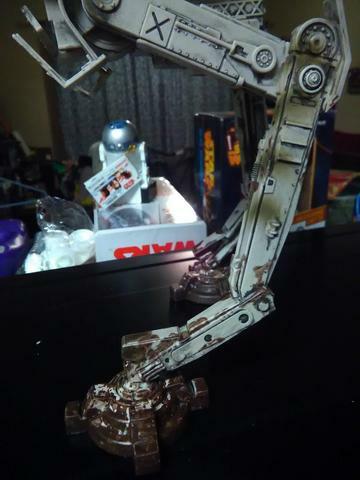 I had the same idea for the legs, but for a different style of droid) that I'm hoping to finish before December ends. I also borrowed your tank tread idea for a recent project. Last edited by johnmorog on Wed Jan 23, 2019 11:21 am, edited 1 time in total. Please see above post for some parts I'm looking out for. Posted in the for sale and trade area of the forums too. 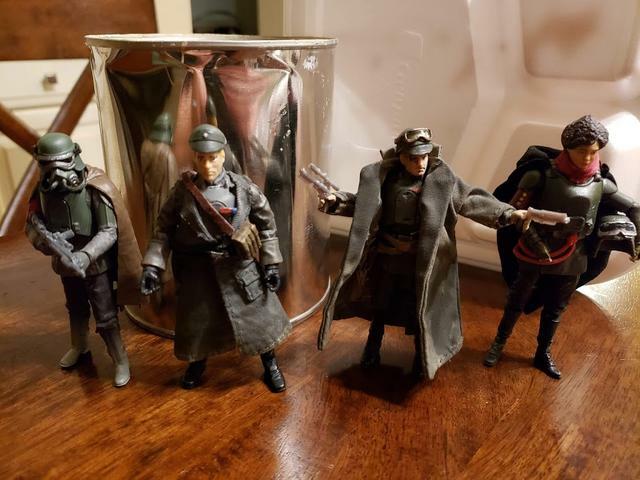 As promised, here are the elite brothers, Captain Arcad (orange pauldron), "Duo" (vertical pouches), and "Musket" (the one with the musket....). Here they are under the command of Lieutenant Maron Namony, and "that grunt who survived" in the background. The Walker looks sick! Just need to see it airdrop and slosh into the mud and we'll have a badass scene right there! 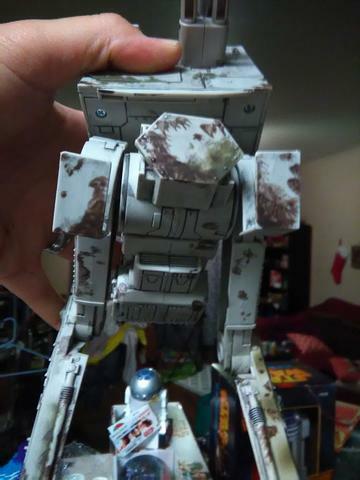 Agreed, excellent paint job on the walker. 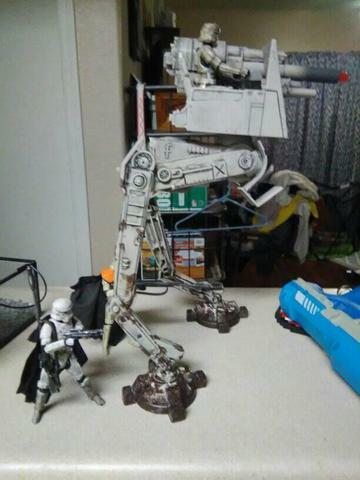 Yautjaclanleader wrote: The Walker looks sick! Just need to see it airdrop and slosh into the mud and we'll have a badass scene right there! YAK_Chewie wrote: Agreed, excellent paint job on the walker. Thanks! Here are some more close up photos. Panel lining the entire thing was actually very fun, and I like how the mud turned out. Thanks for the compliments! 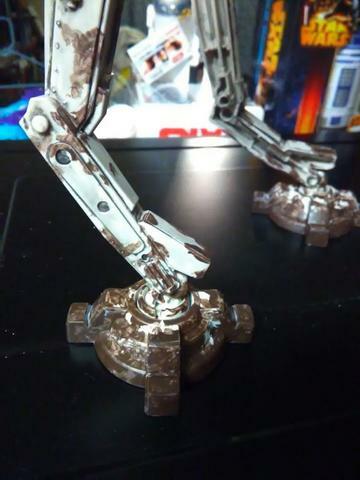 This custom started back when we were doing the droids challenge with the legs. I loved how those legs fit with the pants. That's as far as I got lol. Then I decided to put some more pieces together and finished this up just this last week. 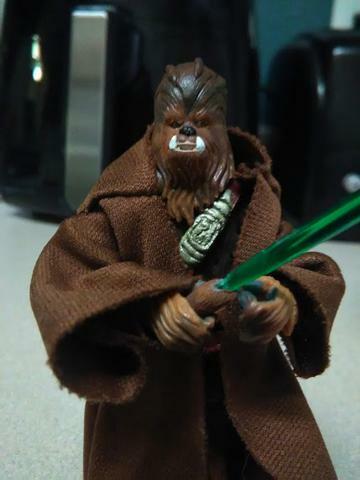 Gungi was made using a Clone Wars style Chewbacca figure. 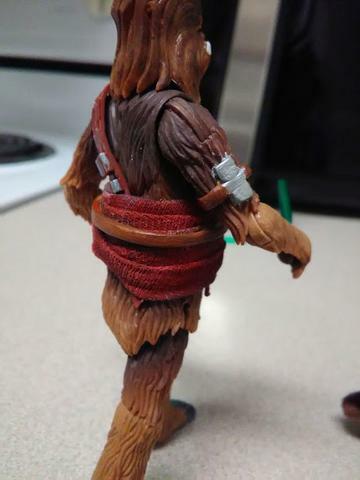 The teeth, hair braids, bandolier ornament, arm band, and belt were sculpted with milliput and the sash is painted cloth. 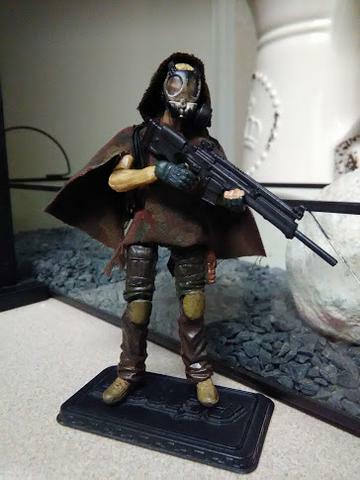 Don't usually do non-star wars customs, but I bought an acid rain figure from a friend at work, so I will probably be doing a few apocalyptic type custom figures, starting with this one. 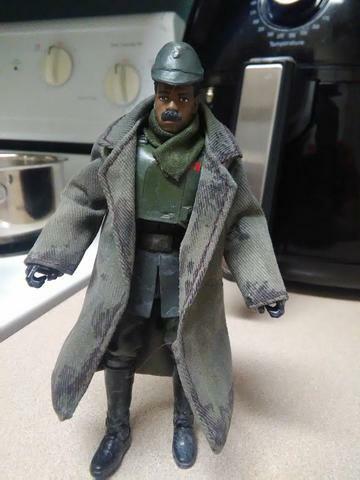 The poncho is based on Jyn Erso's poncho on Eadu. 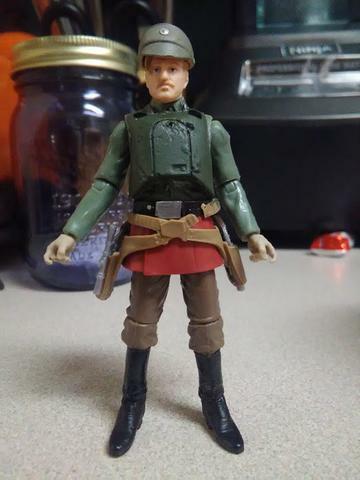 Base figure was a GI Joe Renegades Duke. 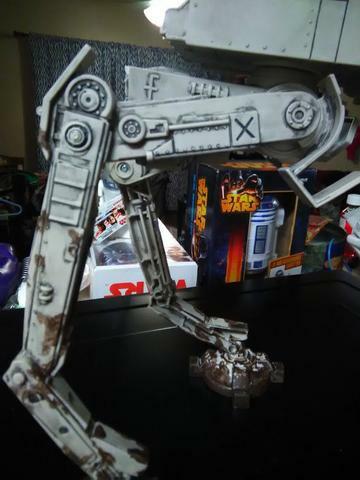 Quite pleased with how the leg paint turned out as well as the weathering. 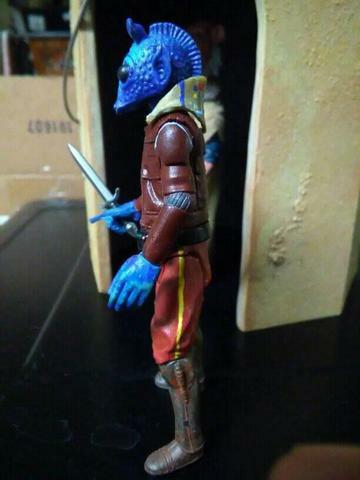 Sorry that I missed the Wookiee (nice fangs) and Rodian customs. 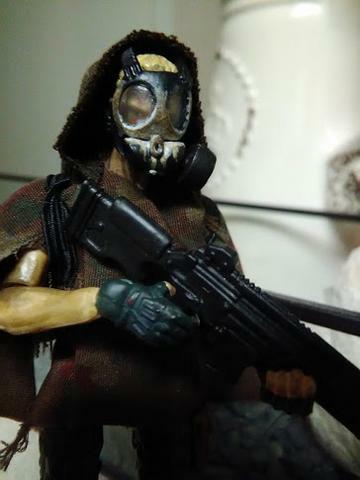 Also liking the acid rain type custom. 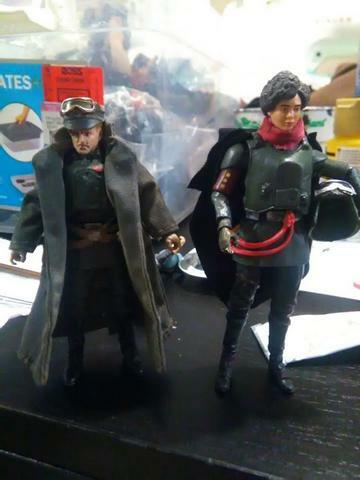 This was a great weekend for customs. Knocked out 3 figures of varying difficulties. Val was the most complex, but probably the most rewarding. I also really like how Beckett turned out. 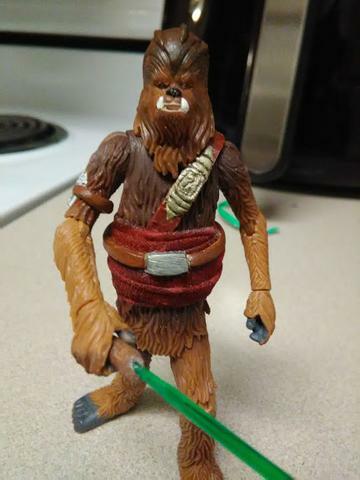 The goggles are removable, and he has his original holsters. 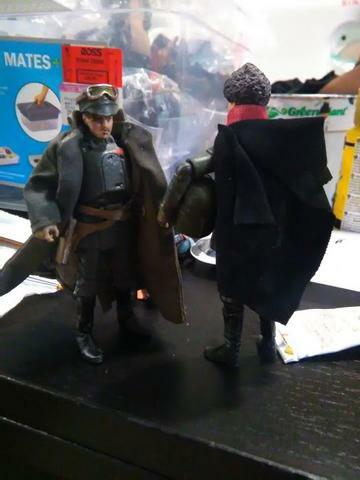 Both val and the six inch figure have cloth scarves. 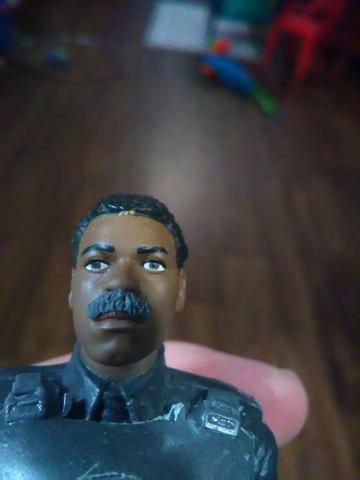 The six inch figure was mostly a repaint, with a sculpted mustache and cast armor and hat. 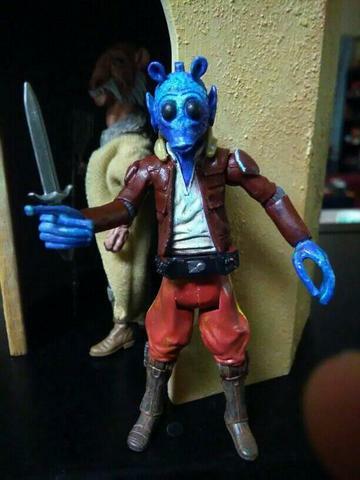 Might try selling the 6" figure, might not... we'll see. The paint I used for the armor is as close to the actual screen-used color as I could get (citadel castellan green). 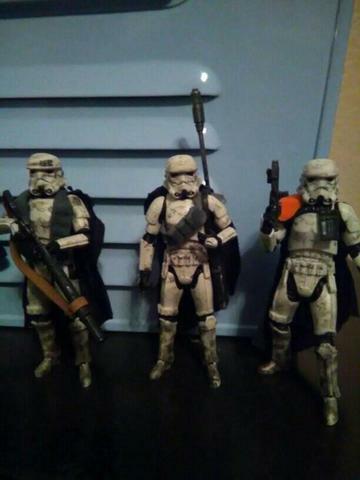 I prefer the cast armor since the snowtrooper armor isn't actually accurate mudtrooper armor. 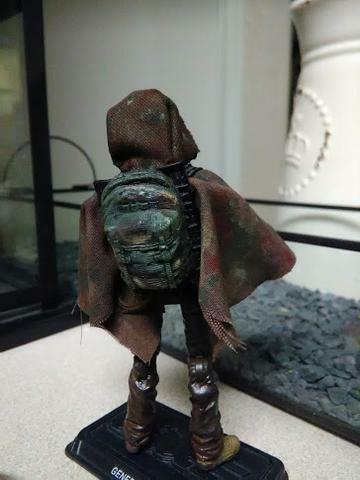 I also added a leather strap, belt and cast pouch to my lieutenant. The lieutenant and Beckett have accurate and appropriate rank insignia on their armor. Barbie doctor accessory pack coat.